Researchers from San Diego have shown(1) that curcumin is a highly potent and selective inhibitor of Dual-specificity tyrosine-regulated Kinase 2 (DYRK2), which in turn regulates the 26S proteasome. By disturbing the proteasome activity they found cell proliferation reduced greatly and the cancer load declined. Proteasome-addicted cancers include Triple Negative Breast Cancer and Multiple Myeloma. Curcumin comprises just 3% of the root Turmeric (curcuma longa) and has long been used as an antioxidant and microbe killer. On this website we have provided Clinical Trial data that shows it can make certain drugs work better while protecting healthy cells during chemotherapy. 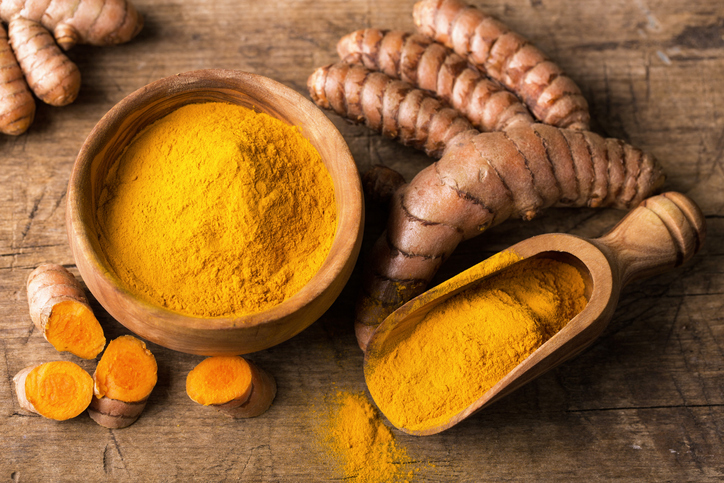 Jack E. Dixon, Ph.D., Professor of Pharmacology, Cellular and Molecular Medicine, Chemistry and Biochemistry at UC San Diego, commented, “Our results reveal an unexpected role of curcumin’.